This year has been nothing short of incredible for Disney, and I'm not even counting two successful Marvel movies and the upcoming Rogue One: A Star Wars Story. Before the summer even came, we'd already had two tremendous family blockbusters in Zootopia and The Jungle Book, and they were followed by The BFG and Finding Dory (regardless of box office, The BFG was a great family film that I believe will only grow in popularity and esteem with its video release. and frankly, these others did well enough to make up for the monetary loss.). 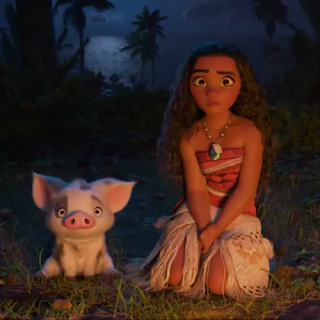 Disney is now ending the year on a major high note with Moana, which is almost certain to be a big hit. daughter of a tribal chief named Tui Waialiki. 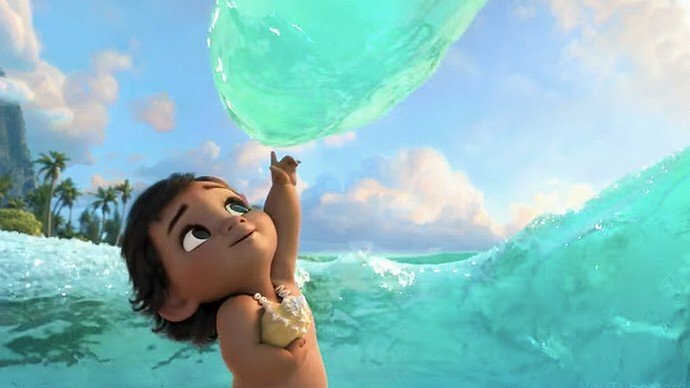 From a young age, Moana is drawn to the ocean, and the ocean is quite literally drawn to her, parting for her as she walks into the shallows and playing with her in the form of a decidedly James Cameronesque water tentacle. The child's grandmother, Gramma Tala feels that the girl's destiny may lie in the ocean, but for reasons Moana doesn't understand her father doesn't want her going near it. He teaches her that she is needed elsewhere, and he grooms her to be the Chief one day. But Moana senses there is more, and even sings the requisite "I Want" song about it. When danger comes to the village, our 16-year old heroine is chosen by the ocean itself to return a mystical artifact, the Heart of Te Fiti, to its rightful place. In order to do this, she must seek out the assistance of the demigod Maui. Sounds simple enough, right? But Maui (Johnson) isn't all that he has been made out to be. This is very much a formula, '90's Disney animated musical, and that's not a bad thing at all. While some of the plotting feels a little clumsy at times, the spirit is most definitely there, What's more, it's almost impossible not to praise the movie when they are willing to shakef things up by giving us a Disney "Princess" who doesn't want to be called Princess and who not only has no love interest, but while her father is eager for her to be a good Chief to her people, her parents never even bring up the issue of marrying her off. 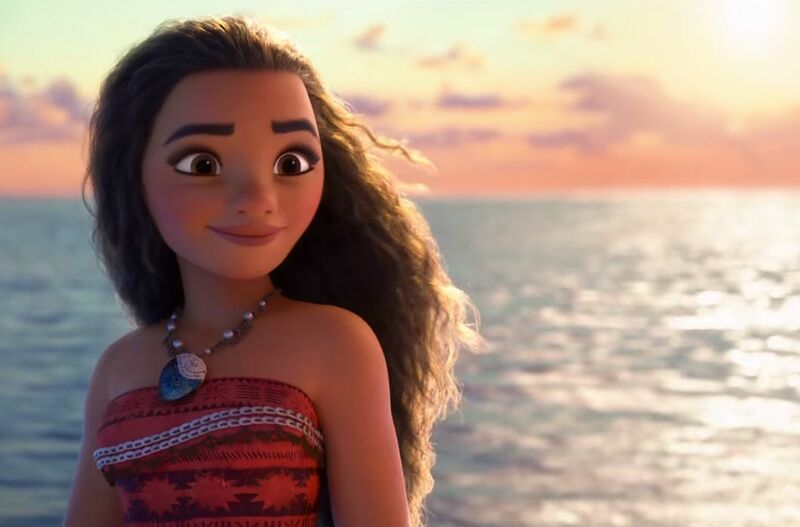 That's right: Moana has to take an inner journey and decide whether to be true to herself, but at no point is the idea even broached that to do so requires a man. That's pretty incredible, and not to beat a dead horse, but a movie that uses such unabashed feminism in such a subtle way isn't just welcome right now, it's an absolute necessity, especially for American audiences. 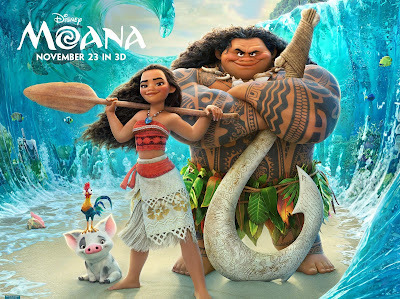 Moana may be the most success "feminist"
The songs, by Hamilton sensation Lin-Manuel Maranda, Oeptaia Foa'i (of the South Pacific music group Te Vaka) and Mark Mancina, are beautiful and rousing, to the point that I'm becoming addicted to the soundtrack (especially Moana's solos and the group Polynesian songs.). I must admit that a few of the songs (in particular "Shiny", sung by Jermaine Clement) took a little getting used to for a Disney fan who is used to Alan Mencken, but so did Elton John the first time around. Miranda is extremely talented, and I love his ability to write clever and and ambitious lyrics that seems to roll of the tongue when they could just as easily be causing it to sprain, but the Eminem of Broadway is occasionally so caught up in this that the melody is in danger of getting lost. Listening to his music is sometimes suspenseful, but most of the time he manages to pull it off. Auli'i Cravalho literally could not be better as Moana, and she is ably supported by Dwayne Johnson who (pun intended) really rocks his one solo song. No, he's not a truly great singer (as opposed to Cravalho, who has a magnificent set of pipes) but he performs it with an infectious enthusiasms and hits the notes. As strange as it may seem for a star who is mainly known for his body, Johnson is a natural for animation because he has a license to be a cartoon character, and he's so comfortable and charismatic here that even his harshest detractors will have a hard time finding fault. Rachel House is very endearing as Gramma Tala, though you may find yourself wondering through the whole movie "Is that the voice of Edna Mode from The Incredibles? 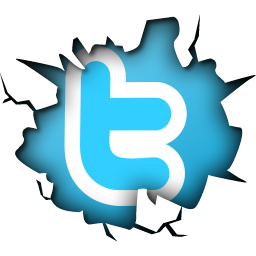 "( No, it isn't.). Veteran Disney directors Clements and Musker (who gave us The Little Mermaid, Aladdin, Hercules, The Princess and the Frog and Treasure Planet) are among the best at what they do, and they inject the movie with with plenty of action and excitement. They have always had a knack for the Indiana Jones swashbuckler feel, and in this case they seem to have been a little bit influenced by the Kevin Reynolds films Waterworld and Rapa Nui (which isn't the insult it sounds like. It has all of the visual strengths of those films without any of the weaknesses.). This movie has all of the elements needed to entertain and even to inspire, and it's easily going to be one of the highlights of the holiday season. Disney's batting average is ridiculously high right now (even after the misfire of The Good Dinosaur), and I'm very excited to see what other magic the House of Mouse brings us over the next couple of years.